Strike when the iron is hot. It holds true for all the ecommerce entrepreneurs who want to be successful in the present market state, as a tremendous untapped potential lies in the industry globally. The retail ecommerce sales in the US are projected to grow nearly 200% by 2019. Now is the time to begin if one wants to be a part of this growing ecosystem. To be a successful ecommerce entrepreneur, the selection of ecommerce platform plays a major role. By choosing the right platform, most of your problems related to operations, management, scaling, etc. get addressed efficiently. Starting a new business means facing a completely new set of challenges. Tons of information is available online focusing on solving those challenges, but most of it will leave you clueless about addressing the real problems of a newly launched online shop. To know the real issues, we discussed with few entrepreneurs, what they ought to solve on a routine basis and which challenges are faced by them while starting up, and scaling up their ecommerce venture. Following is a clear account of YoKart’s role in the growth, management and scalability process of multi-vendor ecommerce stores. I own a newly setup business, I need to first create awareness about it in the market. Spreading awareness about your ecommerce marketplace is the first step you should think after setting up your website. To begin with, consider checking the on-page SEO elements of your ecommerce website, such as meta descriptions, titles, etc. In YoKart, the content management system offers these fields for every product page as well as content web pages. I need more of new customers every day to grab foothold in the market. Run offers, float discount, offer coupons- The handiest way to get through it. Offering discount is an essential aspect of a marketing campaign. YoKart enables you to offer discounts while keeping every single detail in mind. 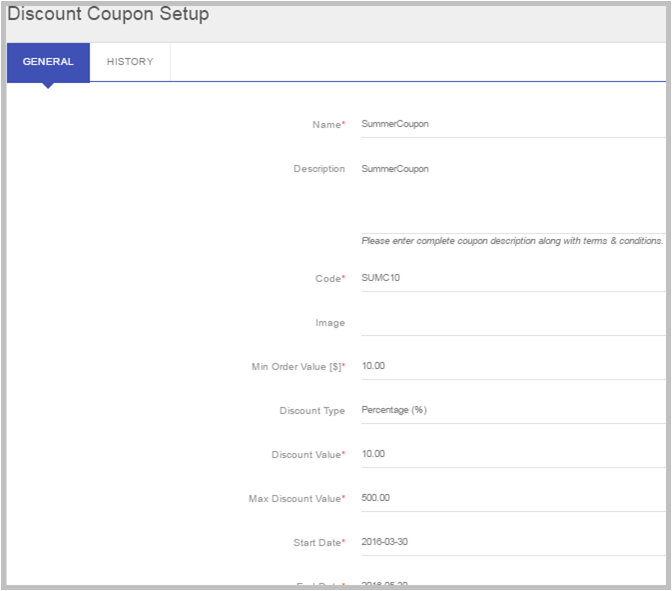 It lets you mention start date and end date of the discount coupon code, discount value, and more. There is more than a discount feature for you in YoKart. Use affiliate and referral modules that come integrated into stores and attract more orders to your ecommerce marketplace. An affiliate can be added from the affiliates menu in YoKart. Its commission settings can be changed under the settings menu. When an affiliate user is created, a tracking code is allotted to the user, which can further be used to track the commissions. I want to start blogging on my website to reach out to my target audience and offer them a corner to know about my products and services. You won’t have to incur additional cost or planning to get a blog on your website; the blogging platform comes integrated into all stores developed with YoKart. You can start using the blogging platform as soon as you are ready to share updates with target audience through your marketplace. The blog in YoKart comes with an advanced text editor, which supports both WYSIWYG and HTML editing. Furthermore, it offers fields to mention the meta title, keywords, and description. I want a quick answer to how my marketplace is performing and everything else relevant to its sales, visitors, orders, etc. 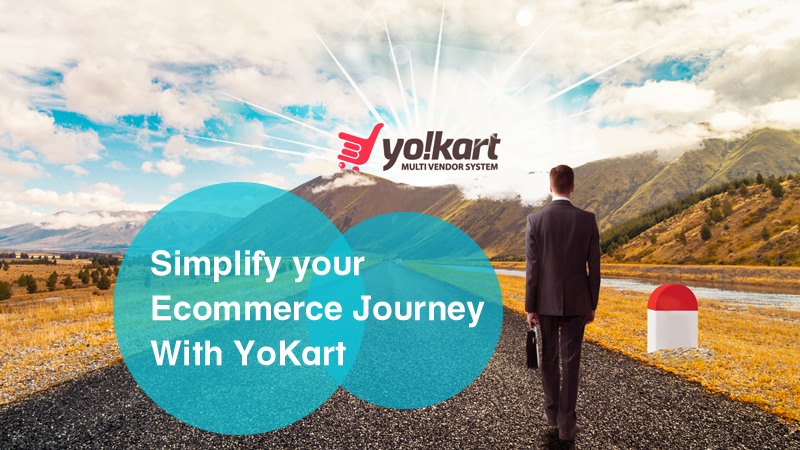 If you have chosen YoKart to build eCommerce store, you precisely know the ease of getting real time information about orders accepted, commission generated, footfall received, sales made, cart abandoned and much more. Moreover, taking decisions related to inventory forecast, marketing strategy, etc. become easy with its clean and explanatory admin dashboard. To make reports effective and manageable for the store owners, we focused on making reporting feature as simple as possible. This is the most dependable feature of YoKart system for the admins to get statistical information about sales, users, products, shops, tax, commission, and affiliates. If you want a quick view, the admin dashboard will give you a good overview of the marketplace, but to get complete information, this report section will help more appropriately. Adding products on a daily basis to my store should not be time consuming, how to keep it quick & simple? Usually ecommerce stores come across the need of adding more products on a regular basis. In such cases bulk imports turn out convenient for them. The number of products on an ecommerce marketplace can easily surpass 1000, which can be hardif productsare added manually to the database. YoKart addresses this problem by offering an import and export feature, which is the perfect tool to update information in bulk. There are many ecommerce platforms that have capping imposed on products limits, and with the increasing number of products on a store, the fee also increases. 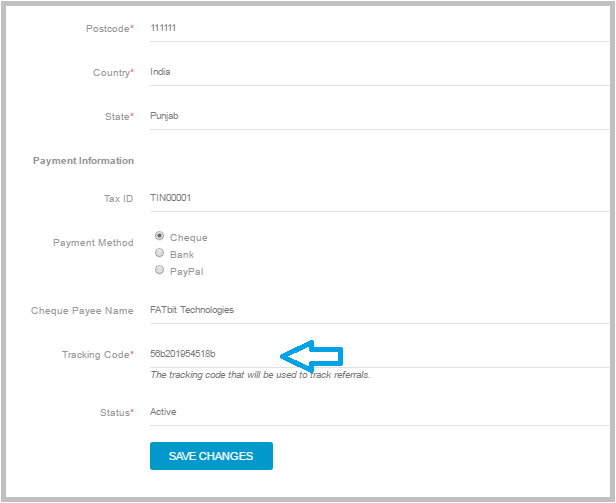 At YoKart, ecommerce entrepreneurs are free of such capping and fee. YoKart’s import and export feature support multiple file formats, such as Microsoft Excel’s XLSX and Libre Office’s ODS. I need technical assistance to handle my website until I am completely familiar with it. To make sure the ecommerce businesses don’t feel stranded on the technical front while managing their store (after YoKart delivers it), we give them 1 year of FREE technical assistance. They can rely on us for any kind of help in implementation of store features, to do away with bugs/errors found in the system, and more. Besides solving the common issues, YoKart aids multi-vendor stores with advanced features and a technically reliable team at every stage of business development, be it marketing in initial phases or the time to scale up. We have made all important features, modules available in our system but even then if any business comes up with its unique requirements, the option to customize the existing ecommerce store is always available with them. Whether you want more of management features or have certain design requirements, we will make everything possible for you. For instance, we offer more than a dozen payment gateways, but, if a business still faces the need of adding a certain gateway, we add it on demand for them. Just like there are thousands of gateways out there, there are millions of features that make sense to different businesses based on their mission, vision & philosophy. On the way to attain distinct goals, YoKart goes along with ecommerce businesses like a truefriend; guarding their interests with our expertise. As per statistics, most ecommerce startups fail due to severe competition from large marketplaces like Amazon and eBay. However, failure is not an option for committed entrepreneurs, who want to implement their idea. If you have a business plan, share it with YoKart team, we will shape your plan into reality with our technology solutions and years of experience in ecommerce. any fascinating article like yours. It’s beautiful value enough for me. content material as you probably did, the internet will be much more useful than ever before. Thank you so much for the appreciation. Keep visiting us for more such posts.